The Crawl-O-Sphere™ Crawl Space Fan provides another way to ventilate a crawl space environment -- with the already-conditioned air present in your home. The Crawl-O-Sphere™ is intended as part of our crawl space vapor barrier system. When combined with our crawl space moisture barrier and vent covers, it provides a cost-effective way to keep a crawl space dry. Mounting a Crawl-O-Sphere™ in your floor joist and installing a vent to the floor above will take a single installer about an hour to complete. As the installer works, the rest of the crew and be working on other parts of your crawl space system. At Best Home & Property Services, we recommend installing a crawl space dehumidifier over using a crawl space fan. However, if you're looking for a more economical way to dry your space, the Crawl-O-Sphere™ is the way to go. 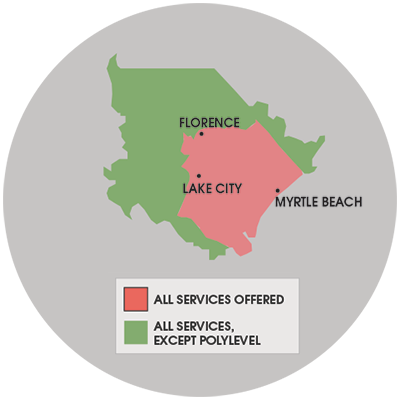 We service Dillon, Marion, Manning, Murrells Inlet, Kingstree, Cheraw, Loris and many nearby areas in South and North Carolina.